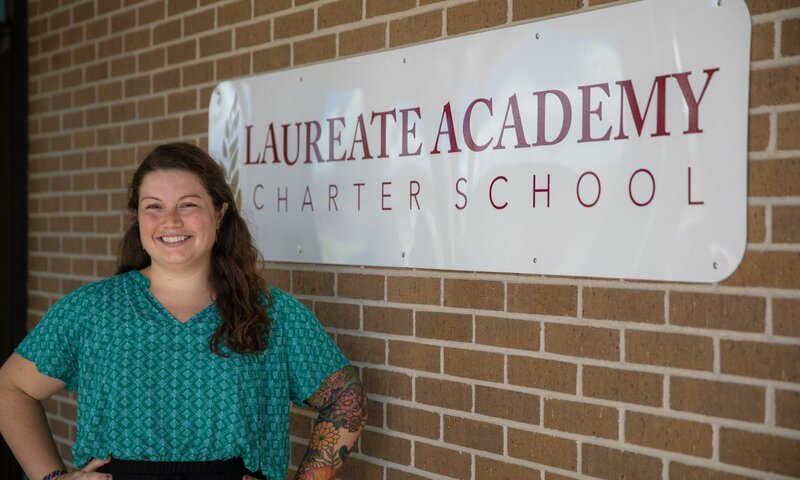 With two years of teaching experience, the then-Summer Leader Intern was “…pretty naïve, honestly.” Shock gave way to pride and excitement, before Claire agreed to the pursuit of leadership development and school founding through The Fellowship. She wanted to quit. Instead, she did what she could to improve herself and her classroom, visiting KIPP and other local schools to learn more about the practices and processes that made them high performing. She entered her second year of teaching with higher hopes. It was evident to her that the cycle of failure perpetuated itself. Claire decided to continue her impact, nabbing a role at a local high school. But first, she had to learn more. Introduced to BES through a TFA event, she started the Summer Leaders Internship following the end of the school year. She was stunned at the avalanche of understanding that came with her placement at Boston Collegiate. Then the SLI wound down and Linda floated The Fellowship offer. Claire did not return to Baton Rouge that fall, instead jumping headfirst into school founding. Reflecting on her naïveté, Claire says the decision was an easy one, though the dizzying year of blood, sweat, and tears that followed was not. This year, Laureate Academy was invited to participate in BES’ first-ever Anchoring Excellence cohort, based on their strong academic achievement and student growth results. Currently in year four, the school boasts strong scores, high staff and student retention, and vibrant and supportive school community. After years of long days and sleepless nights, she and her team continue to build the school she had dreamed about early in her career; a place where expectations are clear, and high, and students and teachers hold to them. Once the newbie being hauled through her Fellowship year, Claire now navigates the intricacies of leadership of the expanding school, guiding and growing her team as her mentors did for her. Interested in school leadership? Read on for Claire’s advice. “Find a mentor or several and build a relationship with them.” Claire says she still calls on many school leaders she met during the Fellowship (Charlie Friedman from Nashville Classical, Shara Hedge from Alpha Public Schools, Katherine Myers from Great Lakes Academy) to talk through issues she’s having and get their advice. “They absolutely pick up the phone and help me,” she says.